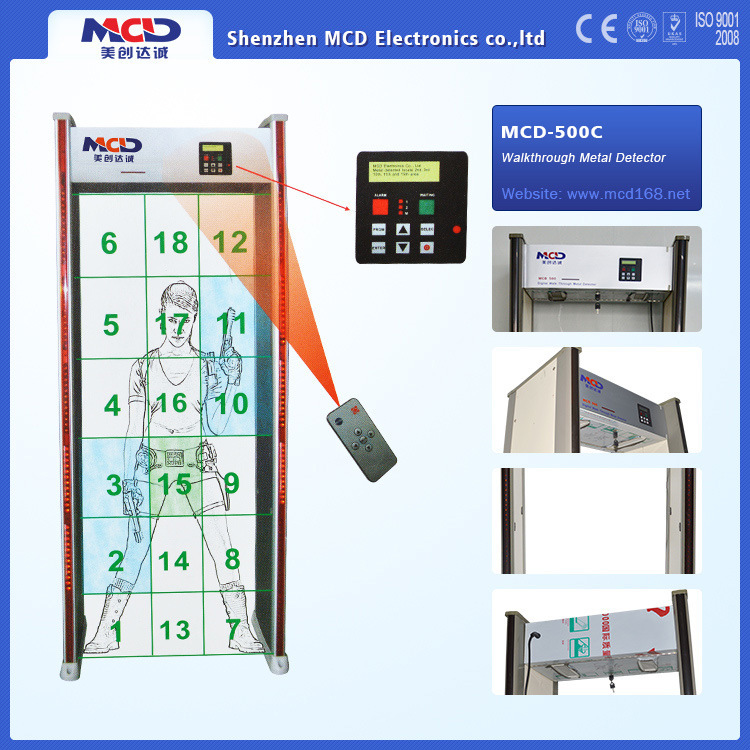 MCD-500C metal detector has 18 exploration areas, six independent explorations around the area, six complex explorations area in the middle of detection door. 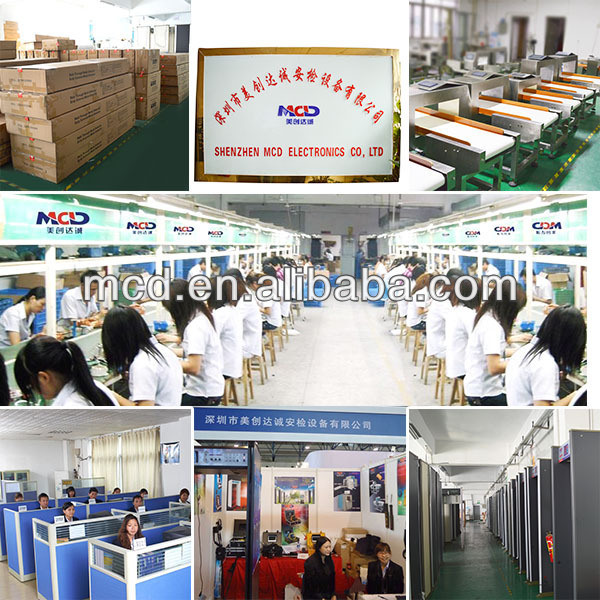 Besides it support remote control, and it can be controlled in front of the front door with LED within 50 meters. It has a four column alarm region with builtin ultrahigh LED panels that can display the place of objective. The sensitivity of every area can be adjusted independently from 0-99, and prevents interference of scheduled metal. Besides the counting statistics features is based on intelligent traffic and police counter statistics function and calculated through the volume and frequency of alarm. And it owns a password protection function, which makes the operation safer. 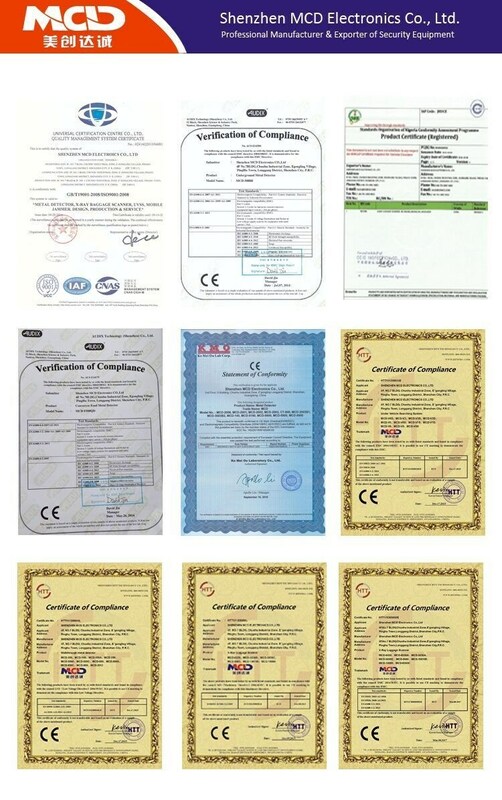 Mainly used in government agencies, public security organs, prosecution, courts, prisons, detention centers, customs, airports, stations, stadiums, exhibition venues, entertainment, large gathering places, etc., as well as hardware, electronics, jewelry, military, Mint factories or businesses. To carry out security inspection.